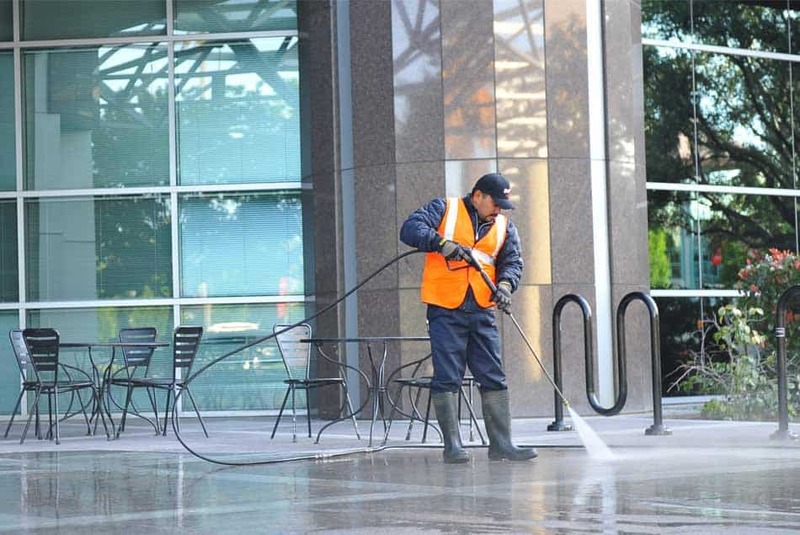 “Pressure washing services” and “power washing services” are often used interchangeably. Technically speaking, power washing involves heating the water first for deeper sanitation. We provide both services, depending on what’s needed. Oftentimes cold water is more than sufficient for the job. When the job is finished, we leave you with a fully cleaned area that usually looks years younger than its pre-washing appearance. Anything that requires industrial-strength cleaning power is a a good candidate for pressure washing. 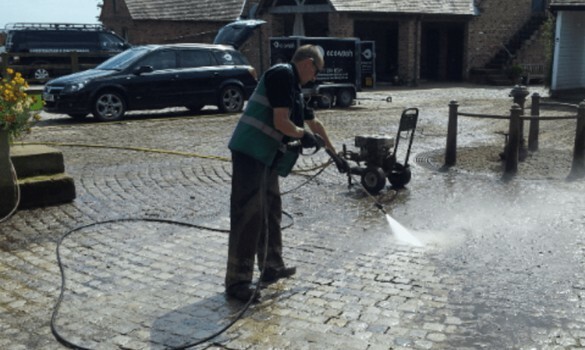 Sometimes, considerable prep work may be involved beforehand, such as soaking, scraping or brushing, particularly for restaurant power washing. For all indoor jobs, we take great care to protect all surfaces that aren’t intended to get wet.